Designed for high performance playability, the Sonar Tour features Fingerprint Technology with a uniform micro texture pattern and traditional taper profile. Superior all weather performance delivers exceptional grip control in all playing conditions. Proprietary Fingerprint Technology with a consistent micro texture pattern provides slip resistant control and omni-directional grip traction. Unique finishing process preserves the grip’s super tacky surface. Made with patent pending Genesis material in a slightly firmer durometer for enhanced torsion control and a consistent feel in all weather conditions. Logo down design inspired by tour player preferences. 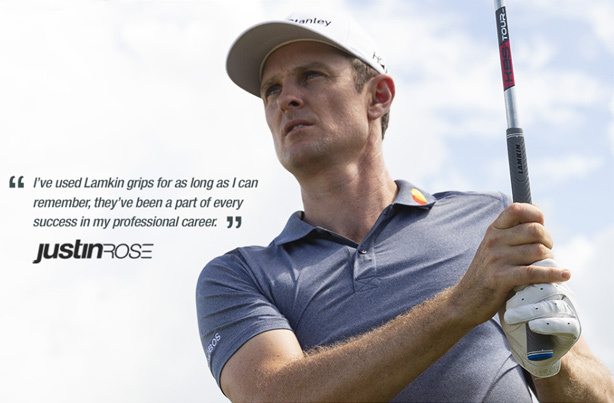 The Lamkin Sonar Tour is currently used by Justin Rose.